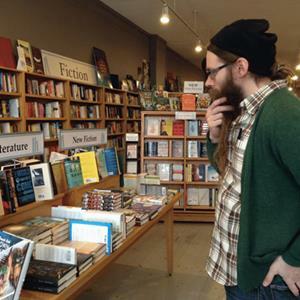 "With Amazon at the gates and whatnot, this feels like a good time to remind you how best to enjoy some of Chicago's incredible independent bookstores. Today would be a REALLY good day to get your indie on. Ahem." 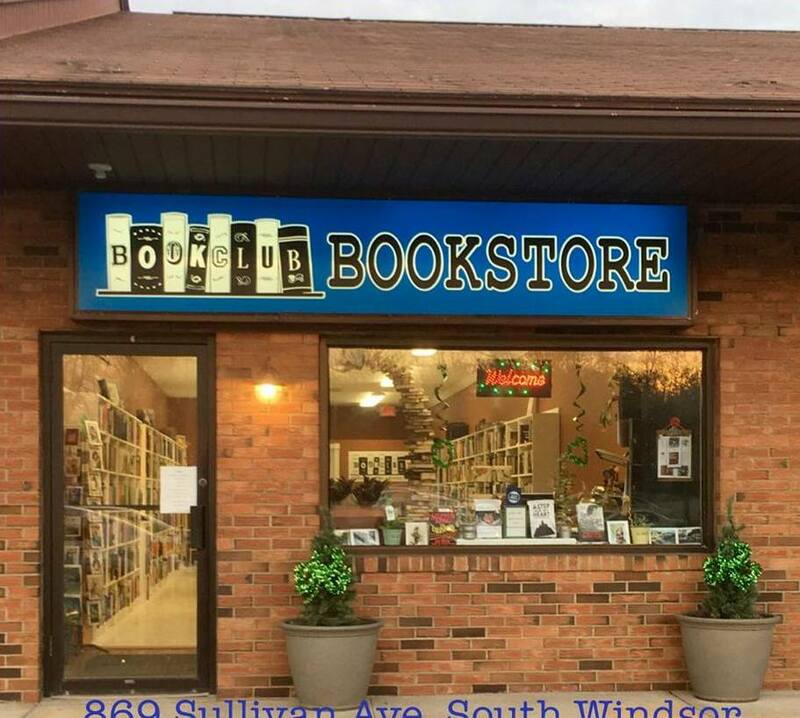 The Book Club Bookstore & More, which owner Cynde Acanto launched three years ago "in a small, quaint shop" in Broad Brook, Conn., has relocated to South Windsor, at 869 Sullivan Ave., the Hartford Courant reported. The new store's grand opening will be held on April 29, which is Independent Bookstore Day. "The space in Broad Brook was nice, but it was a bit antiquated and the parking there was very limited," she said. "I wanted to grow and while the space here is a little smaller, there is a lot more parking and there is easier access from Sullivan Avenue and from Route 5. Right now, I'm still tailoring the layout to fit the space.... I want the store to be a destination. I'm seeing a lot of familiar faces from Broad Brook, but a lot of new faces, too." BookExpo has set the lineup for this year's Audio Publishers Association Author Tea, which will take place Friday, June 2, at 3 p.m. in the Javits Center. The event features Emmy Award-winning actor and director Alan Alda (If I Understood You, Would I Have This Look on My Face?, Penguin Random House Audio) as host, along with James Patterson (Crazy House, Hachette Audio), Marissa Meyer (Renegades, Macmillan Audio) and Daniel José Older (Shadowhouse Fall, Scholastic Audio). They will discuss their craft, creativity and inspiration, with a focus on the audiobook landscape. "What better way to celebrate the power of the spoken word than to hear these great authors talk about their own experiences with the growing world of audiobooks? And with plenty of giveaways at this event no one leaves empty-handed!" said APA executive director Michele Cobb. Brien McDonald, event director for BookExpo & BookCon, commented: "The APA Author Tea offers the publishing industry a unique platform to celebrate the success of the audiobook market with an impressive lineup of authors in a relaxed setting over afternoon tea." Rosamund de la Hey, owner and founder of the Mainstreet Trading Company in St. Boswells, Scottish Borders, has been re-elected for a second term as president of the Booksellers Association of the U.K. and Ireland, the Bookseller reported. 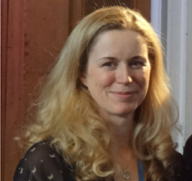 WH Smith's books director Lucy Menendez and Nic Bottomley, owner of indie Mr B's Emporium of Reading Delights in Bath, were re-elected as v-ps. "What I want to do as president is encourage new entrants and support people in opening new bookshops," de la Hey said recently. "Publishers experiencing the shop floor is part of that. The more publishers see bookshops as a vital part of the community, the better, and vice versa. We would be nothing without [publishers], but it has to go both ways." Libro.fm, which helps independent bookstores sell digital audiobooks, is celebrating Independent Bookstore Day on April 29 by offering a digital audiobook giveaway. 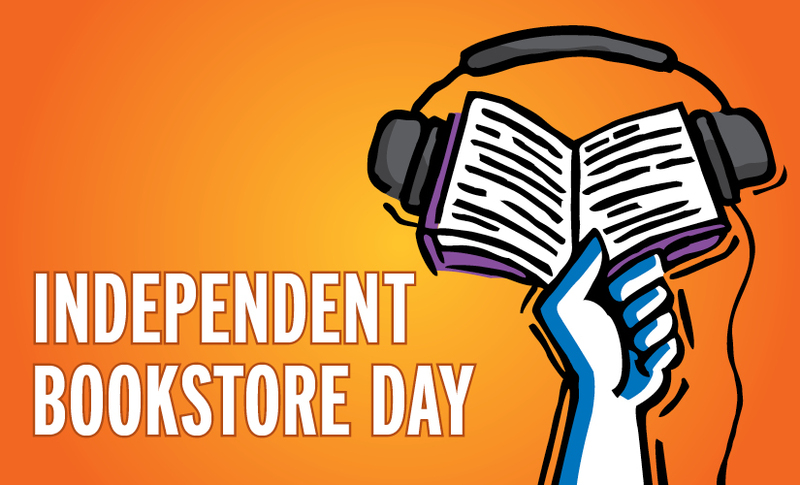 Visitors to participating stores will have the opportunity to download five complimentary digital audiobooks, including The Women in the Castle by Jessica Shattuck and David Foster Wallace's A Supposedly Fun Thing I'll Never Do Again. You can find a complete list here of the audiobooks that will be available for free download. Libro.fm is a partner of the American Booksellers Association and works with independent bookstores to create co-branded audiobook storefronts. Legendary New York City columnist, novelist, biographer and raconteur Jimmy Breslin, "who leveled the powerful and elevated the powerless for more than 50 years with brick-hard words and a jagged-glass wit," died March 19, the New York Times reported. He was 88 and, "until very recently, was still pushing somebody's buttons with two-finger jabs at his keyboard." Breslin's book about the first season of the hapless New York Mets--Can't Anybody Here Play This Game?--landed him a job as a news columnist with the New York Herald Tribune in 1963. Soon he was "counted among the writers credited with inventing 'New Journalism,' in which novelistic techniques are used to inject immediacy and narrative tension into the news," the Times wrote, adding: "But Mr. Breslin's greatest character was himself: the outer-borough boulevardier of bilious persuasion." He would go on to write for several newspapers in the city. Author Pete Hamill, a former colleague, said, "It seemed so new and original. It was a very, very important moment in New York journalism, and in national journalism." Breslin's books include the novels The Gang That Couldn't Shoot Straight, World Without End, Amen, and Table Money; the memoir I Want to Thank My Brain for Remembering Me; biographies of Damon Runyon and Branch Rickey, as well as The Good Rat, a book about mob culture. "Perhaps the quintessential Breslin book was The Short Sweet Dream of Eduardo Gutierrez, published in 2002, in which he focused on the death of an unauthorized Mexican worker at a flawed Brooklyn construction site to rail against the shoddy building practices, political cowardice and racism of his beloved city," the Times noted. Brilliant Books, Traverse City, Mich., posted this invitation on its Facebook page Monday: "Take a peek behind the scenes of Brilliant Books Monthly, our flagship book-of-the-month style service. Our expert booksellers turn a simple preference card into your best year of reading ever, & we'll show you how!" Nancy Sheppard has joined St. Martin's Press as marketing director. Previously she was director of creative marketing services at Penguin Adult and before that was marketing director at Viking. Effective January 1, 2018, Penguin Random House Publisher Services will handle sales and distribution for Berrett-Koehler Publishers, Oakland, Calif., which specializes in books on business, current affairs and self-help and has the motto "Connecting people and ideas to create a world that works for all." Its backlist of more than 600 titles includes Leadership and Self-Deception, Eat That Frog!, The New Confessions of an Economic Hit Man, Love 'Em or Lose 'Em, Trauma Stewardship and The Power of Purpose. "Berrett-Koehler is celebrating our 25th anniversary this year," president Steve Piersanti said. "We have enjoyed a strong network of distributors in the U.S. and internationally who have been great partners with us. Moving now to PRHPS will allow BK to continue expanding the sales and distribution of our titles around the world." The Thoughtful Gardener: An Intelligent Approach to Garden Design by Jinny Blom (Jacqui Small/Quarto Publishing Group). Fresh Air: Jane Mayer, author of Dark Money: The Hidden History of the Billionaires Behind the Rise of the Radical Right (Anchor, $17, 9780307947901). Jimmy Kimmel Live: Noah Hawley, author of Before the Fall (Grand Central, $15.99, 9781455561797). A new trailer has been released for the upcoming NBC show Midnight, Texas, based on the novel series by Charlaine Harris, Entertainment Weekly reported, noting that "it seems the town's inhabitants are quite the colorful bunch." The series stars François Arnaud, Jason Lewis, Yul Vazquez, Parisa Fitz-Henley, Arielle Kebbel and Peter Mensah. Midnight, Texas premieres on July 25. Chris Messina (Live by Night, The Mindy Project) will play the male lead, Kansas City Detective Richard Willis, opposite Amy Adams in HBO's eight-episode drama series Sharp Objects, based on the book by Gillian Flynn, Deadline reported. Directed by Jean Marc Vallée, the project's showrunner is Marti Noxon, who will write episodes along with Flynn. Executive producers are Jason Blum, Charles Layton and Jessica Rhoades, as well as Adams, Flynn, Noxon, Vallée and Nathan Ross. Zoey Leigh Peterson was born in England, grew up in the United States and now lives in Canada. 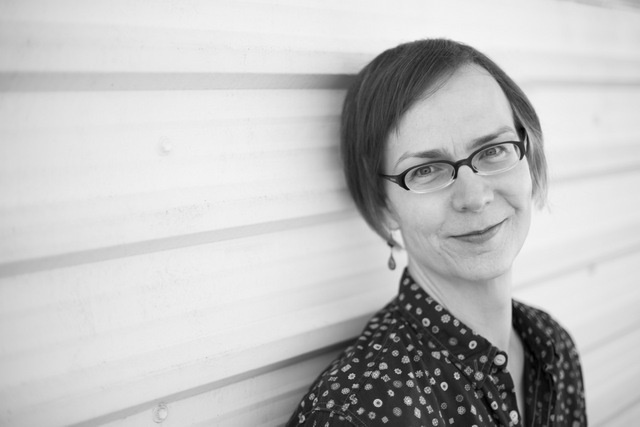 Her short fiction has appeared in a range of journals and has been anthologized in The Journey Prize Stories and Best Canadian Stories. 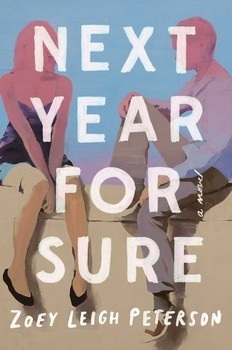 Her first novel, Next Year, For Sure (Scribner, March 7, 2017), is a luminous portrait of a great love pushed to the edge. I have about a dozen books I'm in the middle of, but right now I am most actively reading The Beautiful Things That Heaven Bears by Dinaw Mengestu. I've been meaning to read it for years, but a friend just put it into my hands. It's everything I want in a book right now--intimate and vulnerable and sincere. And funny! I just want to devour it, but I'm forcing myself to go slow and really savor it. There were so many, but here's one I still think about almost every day: Alan Mendelsohn, the Boy from Mars by Daniel M. Pinkwater. I've ruined so many of my childhood favorites by re-reading them as an adult, but this one I've resolved to keep safe in my fuzzy childhood memory. I've always been bad at favorites, but here are the five authors I most urgently crave a new book from: Hanya Yanagihara, Chimamanda Ngozi Adichie, Jenny Offill, Claire Messud and Sarah Shun-lien Bynum. If one of these folks had a book coming out tomorrow, I would be standing outside the bookstore when it opened. I was about to say I'd never faked reading a book, but then I remembered all of high school. I was a big reader, but I simply could not bring myself to read anything that had been assigned. I once bluffed my way through a lengthy essay exam on Wuthering Heights based on skimming the first page and a half of the novel while the exam was being handed out. Years later, I finally got around to reading Wuthering Heights on my own and I loved it. But when it was assigned to me, I was really into Anna Karenina and had no time for Heathcliff's nonsense. I work in a library, and I cannot count how many patrons I have turned on to Sarah Shun-lien Bynum's Ms. Hempel Chronicles. And I always pitch it as a story cycle. I know it's packaged as a novel, but I think it's actually one of the best story cycles ever written. Definitely one of my desert-island books. Clear winner here: Merritt Tierce's Love Me Back--the original Doubleday cover. I cannot imagine how a cover could be more perfectly suited to the title and the themes and the tone of a book. And the fact that its neon sign is unlit--ugh, it hurts me it's so good. I hid everything else from my parents, but never books. Enormous Changes at the Last Minute by Grace Paley. I'd always thought of myself as a writer--I wrote my first "novel" when I was eight years old. But when I was in my early 20s, I stumbled across this book in a library, read the first story standing there in front of the shelf, put it back on the shelf and decided to stop being a writer. There were a lot of reasons, but part of it was reading that Grace Paley story and realizing that I couldn't write the book I needed to write. So I stopped writing and did other things with my life. Twenty years later, I stumbled across the book once again in a used bookstore, read the same story right there in the store, and decided to start writing again. For years, I've been filling notebooks with favorite lines from whatever I'm reading at the moment. I must have thousands. But flipping through those notebooks now and seeing how my tastes and interests have morphed over the years, I'm most reminded of this line from Joan Didion's essay on the importance of keeping a notebook: "I think we are well-advised to keep on nodding terms with the people we used to be, whether we find them attractive company or not." I used to have a hardcover copy of The Abortion by Richard Brautigan. If I could find another one of those, I promise I would never part with it again. Ditto Sarah Van Arsdale's sublimely poetic novel Toward Amnesia, which I've read so many times that my paperback copy is falling apart. Three more in that vein: In the Skin of a Lion by Michael Ondaatje, Reasons for Living by Amy Hempel and All Is Forgotten, Nothing Is Lost by Lan Samantha Chang. If I could find acid-free, hardbound editions that I could read over and over for the rest of my life, I would never let them out of my possession. I think I actually prefer re-reading to reading for the first time. Sometimes I'll be just a dozen pages into an amazing new book and think, "I can't wait to read this book again." But here's one exception: The Count of Monte Cristo by Alexandre Dumas. I'm not sure it holds up to repeated readings, but I'd love to be able to read it again for the first time, just for the pure gratification of watching his slow, elaborate revenge unfold. I recently started working on my second novel, so right now I'm obsessed with transcendent second novels. I'm making a real study of it: Philip Larkin's A Girl in Winter, Hanya Yanagihara's A Little Life. Open to recommendations! Nothing says Easter like eggs, lambs and bunnies, and there are eggs, lambs and bunnies galore in these pastel-toned picture books, our top picks for nestling into an Easter basket alongside the jelly beans and chocolate rabbits. 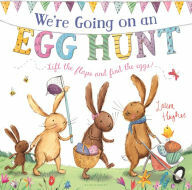 We're Going on an Egg Hunt (Bloomsbury, $17.99, hardcover, 24p., ages 3-6, 9781681193144, February 14, 2017) is British illustrator Laura Hughes's lift-the-flap Easter version of the classic camp song about a bear hunt. In this case, basket-, bucket- and net-carrying bunnies search for colorful eggs, overcoming all obstacles: "Oh, no--LAMBS!/ Can't go over them./ Can't go under them./ Can't go around them./ Got to go through them...." The excitement of Easter egg hunting intensifies when young readers find a big, scary surprise behind a huge, beautiful egg. Retreat! "Back through the ducks. Quack! Quack! Quack! Back through the bees. Buzz! Buzz! Buzz!" Just like the original bear hunt, all's well that ends well in this delightful interactive picture book, destined to become an Easter tradition. Graceful Flora from Flora and the Peacocks and Flora and the Penguin is back! 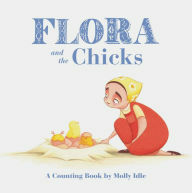 This time, in Molly Idle's counting book Flora and the Chicks (Chronicle, $9.99, board book, 20p., ages 2-4, 9781452146577, March 7, 2017), she's juggling--almost literally at times--a clutch of hatching chicks while mama hen is away from the nest. One through 10, the chicks emerge from their eggs in shades of lemon yellow, tangerine and chocolate brown. Flora, in red overalls and yellow flowered kerchief, can barely keep up with the ever-more-lively hatchlings as they play in a bowl and wrestle a worm out of the ground. (Sharp-eyed readers will follow the worm's adventure from ground to beak and, sneakily, back into the ground again.) Gatefolds on alternating spreads give this charming board book extra airiness and space. 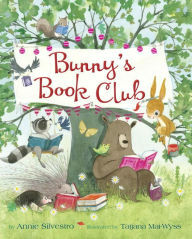 In Bunny's Book Club (Doubleday, $17.99, hardcover, 40p., ages 3-7, 9780553537581, February 7, 2017), Annie Silvestro's debut picture book, adorably illustrated by Tatjana Mai-Wyss, a little brown rabbit is unable to resist the call of literature. Bunny thinks books are "better than a field full of fresh, crunchy carrots." After listening in to summer story time outside the library, Bunny needs to come up with another plan to access his beloved books when story time moves indoors with the start of cooler weather. The library is locked up at night, but that book return slot just might be his ticket in. Soon, Bunny is basking in books again. His friends--porcupine, raccoon, mole, bear--fall for reading, too. What happens when they finally get caught breaking in to the library will make readers of all ages smile. 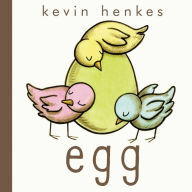 Themes of tolerance, patience, differences, transformation and the passage of time imbue Caldecott Honor artist Kevin Henkes's 50th published children's book, Egg (Greenwillow/HarperCollins, $17.99, hardcover, 40p., ages 4-8, 9780062408723, January 3, 2017), with lofty meaning given its seemingly simple text and artwork. To start, four pastel-colored eggs sit in four quadrants of a grid, each labeled "egg." On the facing page, something starts to happen to the pink, yellow and blue eggs: "crack/ crack/ crack/"... but the green one is quiet, and still labeled "egg." Next, birds hatch out of the pink, yellow and blue eggs: "surprise!/ surprise!/ surprise!" The green one remains still. But the biggest surprise is still to come when the green egg finally cracks open. 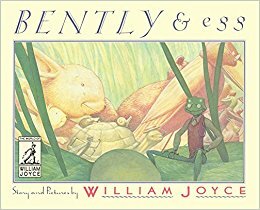 As in Waiting, Henkes focuses on the small, significant things in the most unexpected ways, keeping readers happy and rapt. "How will I know when spring is coming?" 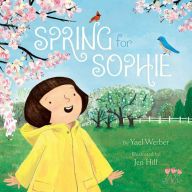 a young girl asks her parents in Spring for Sophie (Paula Wiseman/S&S, $17.99, hardcover, 32p., ages 4-8, 9781481451345, February 21, 2017), Yael Werber's debut picture book, illustrated by Jen Hill (Percy and TumTum). Sophie's thoughtful parents tell her to listen for the birds, to feel for the softening of the ground with her feet, to watch for the snow to melt and to smell for the scent of earth and rain. When the rain finally falls, she runs out to catch it on her tongue. "Now I know spring is here!" she says. "Because this is what spring tastes like!" The quiet, almost lyrical exchanges between Sophie and her parents as they sit in front of a crackling fire or don their boots for a walk in the woods are reinforced by Hill's exquisite gouache paintings of a rural New England landscape. Simply lovely.